Comic artist Liz Climo has created a charmingly quirky animal kingdom, a place where grizzly bears, porcupines, rabbits, and anteaters all grapple with everyday life with wit and humor. Get ready to introduce all your chats with with these adorable animated stickers featuring characters from her lovable comics. Available for the iPhone and iPad. Liz Climo © All Rights Reserved. Works fine. Cute stickers. Wish there were more included. I LOOOOOVE this sticker pack! It's so cute! I just have one issue with it and it's not big. I just don't really like how jerkily the animation moves back and forth. Other than that, I have no problems with this sticker pack at all. I would give it four and a half stars if I could. Super cute, like everything Liz makes! An earlier review posted useful instructions for how to find the stickers once they have downloaded. These are absolutely adorable! I love sending them as little pick-me-ups to my friends. 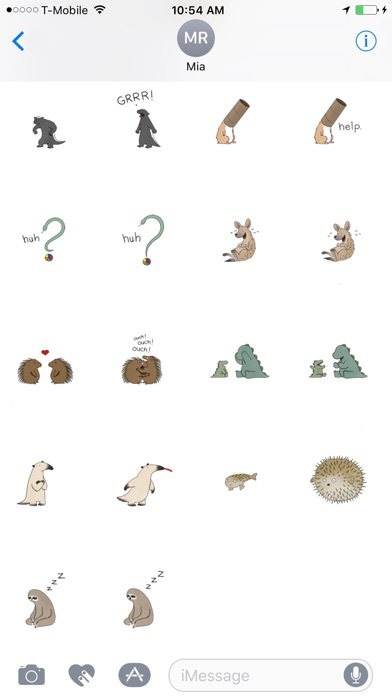 These stickers are so cute and provide a fun way to share and introduce The Little World of Liz Climo to friends! Liz Climo is a genius. 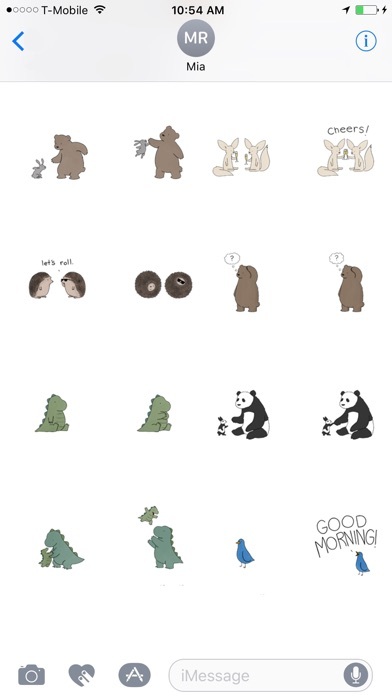 These stickers are adorable, hilarious, and useful, plus they make me overjoyed just to look at. The anteater sticking his tongue out and the elephant offering flowers are the cutest, but I love the ones of Rory the dinosaur and his dad. If there are ever more sticker packs, I'll buy those too. These stickers give me joy. It took me awhile to figure out where to find these stickers – you have to put the toggle on from the App Store icon when you're in iMessage. 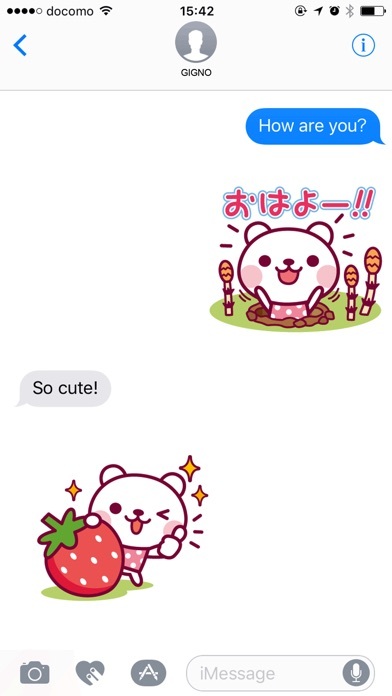 It's absolutely adorable and those who've received the stickers in messages have loved them! The application works perfectly fine. Now, whether YOU are able to navigate your device to access the application - THAT is a user-issue (not an application glitch) and irrelevant when providing a meaningful rating for the developer. Come on people. Pick. Your. Battles. I'm a huge fan of Liz Climo's work so had to get these stickers. I don't know which one to use first. So ALL OF THEM. Thanks to some other reviewers, I easily found how to find these and learned something new about how to use the features in iMessage. So a huge win all around. Only reason I give 4 instead of 5 is because I feel there's too few. Hopefully she'll continue to add them! Not gonna lie it took me a second to realize how to find where the stickers were but I read one of the reviews & that was a big help! I do feel like there should be more stickers though! App works perfectly fine, you just have to know how to use it. Cute! Make sure when you look for it in the keyboard to hit the "store" I had to give permission or click on the button for the stickers to pop up! This pack works fine, there are no issues with this version that I've been able to find. The negative reviews are an issue of PEBKAC (problem exists between keyboard and chair). 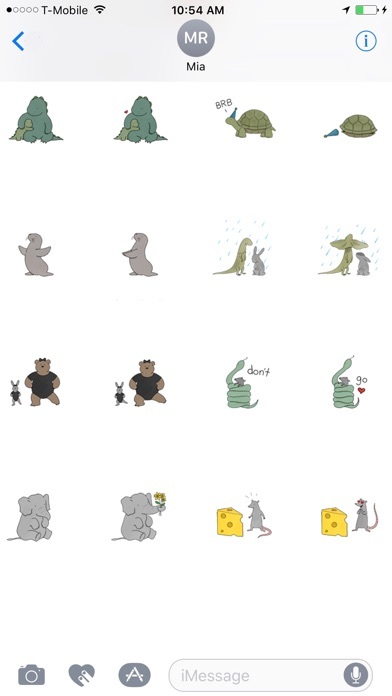 This is a sticker pack for iMessage, NOT a stand-alone application. Please actually take a minute to read what you are buying before clicking the purchase button. If you are having trouble finding it after installation, try the following. 1. Open up the message app and go to text someone. 2. Click the arrow to the left of the text box to expand the options. From there, click the icon that looks like the App Store symbol. 3. If you already have something open here, click the symbol with four ovals in the bottom left. This will bring up your installed apps. 4. If you see this sticker pack on that screen, click the icon to open it and choose your sticker! 5. If you do NOT see the sticker pack here, click the plus (+) symbol to bring up the App Store. 6. Click the "Manage" tab in the top right. Here you can toggle apps on or off so you can select them from the previous view we opened. 7. If this is something you're likely to have trouble with, you should probably toggle the "Automatically Add Apps" slider to "On". Hopefully that will solve 95% of the "issues" users are complaining about. 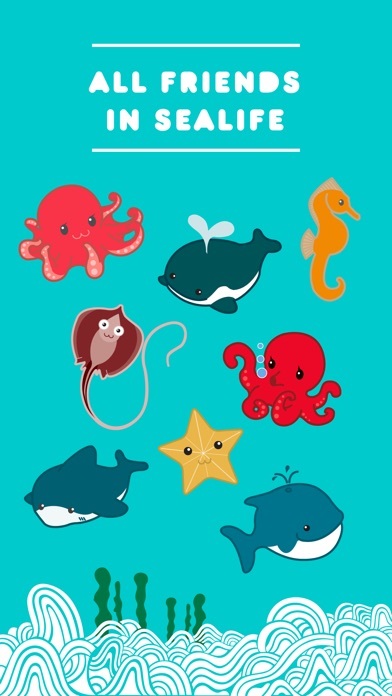 These stickers are adorable, and do not deserve their current mediocre rating! Love Liz Climo & these stickers are really great! Those giving low ratings because they can't find their stickers need to do some searching beforehand. You have to enable the sticker sets you purchase in the "Manage" tab of your available iMessage apps; iMessage doesn't turn them on automatically. Not Liz's fault, so be kinder when rating, willya? These are so adorable and make me smile every time I open them! 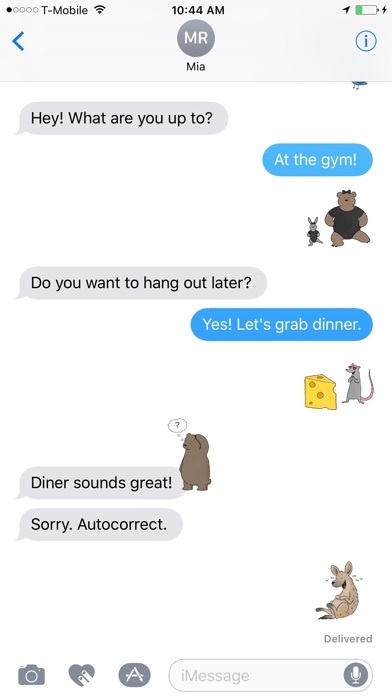 iMessage stickers are a little annoying to find but worth it! I love stickers and these are very cute and fun to send!!! Please add more characters! Specifically the loofa whale.